Frank Bainimarama claims “Nobody will be left out” and yet two years ago he withdrew aid from two cyclone-damaged villages because they refused to swear allegiance to him. what type of government is in office. 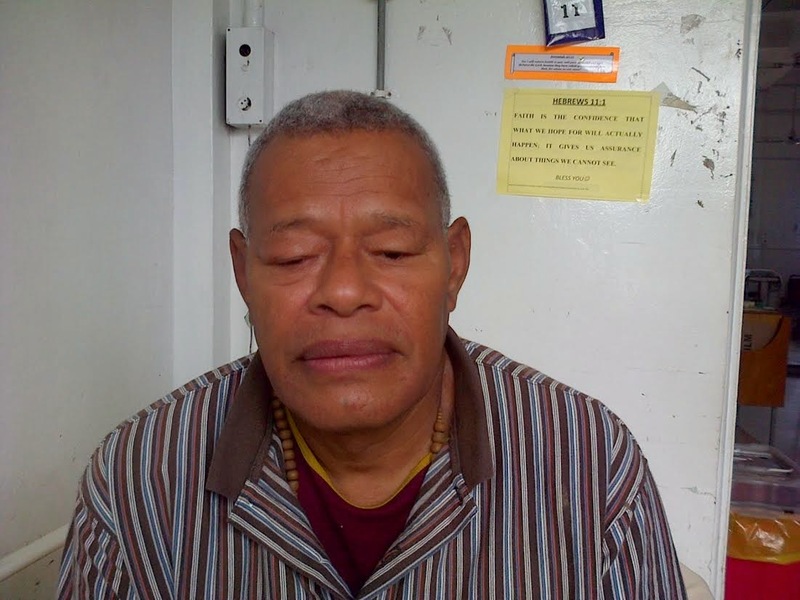 “It is consistent with what he did in early 2013 with the Tui Vitogo and his people,” he says. “Taxpayers include many who did not vote for Frank Bainimarama and his Fiji First Party,” says Lalabalavu. Opposition Shadow Minister for Lands, Hon Jiosefa Dulakiverata, supports moves by the Minister for Lands and Mineral Resources, Hon Mereseini Vuniwaqa, to reorganize and improve the efficiency of the Ministry of Lands. Hon Dulakiverata said the Minister (The Fiji Times Oct 25th page 3) had confirmed that complaints of tenants and landowners were caused by ‘lethargy’ within the Ministry which was ‘too laid back’ in its work ethic. Hon Dulakiverata said that the Minister, in her maiden parliamentary speech, had claimed much organizational change had been accomplished in the ministry by Government in the last seven years. She went on to praise the internal reforms led by the honorable Prime Minister that had laid a solid foundation on which she intended to build. The Minister was now saying that there was much work to be done in the Ministry. Certain issues, she revealed, needed immediate attention. These included rectifying past mistakes caused by corrupt practices and lack of respect for human dignity, equality, basic fairness and good governance. The Minister’s criticism of the Lands Ministry’s operations undermines her claims about the success of Mr Bainimarama’s reforms. “What accomplishments by Government and her predecessor was the Minister referring to in her speech when she lavished praise on him? “Was it the organizational restructure and internal reforms she spoke of that have resulted in uncollected rental arrears of $25 million? Or is this the result of the ‘lethargy’ and ‘laid back’ approach to service delivery that she is now criticizing? Clearly the Prime Minister must provide some of the answers relating to his time in the Ministry. why, why, why you ask? Last week Fiji Democracy Now was puzzled by the decision to set salaries for Ministers and MPs in a decree the day before the parliament met. Wasn’t it an insult to the Parliament to have the salaries set by the two man band the very day the new orchestra was tuning up? This is no hard puzzle if you look at the figures they laid down in the tablet of stone. The PM rakes in $328K, plus allowances that have no figures on them, while humble MPs are made very humble indeed on $50K. Allowing the humble backbench MPs to speak their own minds about the salary they were paid could obviously lead debate somewhere the duo did not want it to go. They might humbly suggest some comparisons. Junior officers at the PIF Secretariat earn 27K SDR (Forum money) which equals about F$75K. An Assistant Lecturer at USP, at the bottom of the scale, is paid about $54,000. The MP salaries make the MPs look like hired hands doing the unskilled job of pounding the rubber stamp on the draft laws prepared for them by the Cabinet. There is no recognition that even the humblest backbencher has been elected by the people, not hired like some day labourer by the PM. He got away with it for now, but somewhere deep in the breasts of all his hired hands, there will be deep-seated resentment at the way they have been treated. It just doesn’t make sense to treat Parliament in this way. It has all the hallmarks of Khaiyum written all over it. Let’s hope the backbench MPs are able to make Bainimarama aware of just how insulting it is to them, and by extension, to the people who elected them, to have them paid as if they are just junior staff. The Opposition today filed an urgent question in Parliament regarding Fiji’s preparations for the Ebola epidemic currently affecting African states, with new cases reported in the USA, Spain and Germany. Opposition Member Ratu Naiqama Lalabalavu who filed the question which was later denied by the Speaker said that the question was a matter of national importance, especially when we have a contingent of Police officers in Liberia, the heart of the Ebola epidemic. Does the Ministry have in place any plans to create public awareness about the Ebola virus and what can be done to prevent it? Do these plans include the establishment of an Ebola testing laboratory to enable quick results? Have our Border officials and airline personnel been briefed on this Virus and are they ready to conduct proper screening of visitors and returning residents? What plans have we got in place for screening our Police contingent when they return from Liberia which is the centre of the Ebola epidemic. Commissioner Groenewald has reported to Defence and National Security minister, Timoci Natuva, who has promptly flicked the ball back to him. Natuva says whether or not the Police decide to open a case regarding Bilitaki will be entirely up to the Police Commissioner. That may be true but Natuva is still the Minister who answers to parliament. Prime minister by title but thug by nature. A second citizen has been attacked by Frank Bainimarama – a photographer who was slapped across the face after being ordered to stop taking pictures. 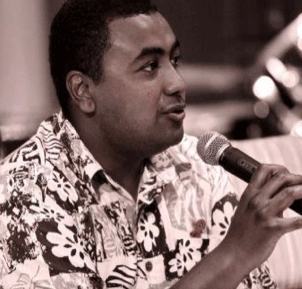 The incident happened on Friday evening at Government House during the Fiji Day cocktails and was witnessed by at least two people. Witnesses say the newly-elected Fiji First leader slapped the photographer and swore at him because he didn’t wanted pictures taken of him and his family. The 2006 coup leader also ordered SODELPA youth who were at the event, including the president of the youth wing, Pita Waqavonovono, to leave. Government House staff reportedly did nothing about Bainimarama’s attack on the photographer or him ordering Waqavonovono and other youth out from the event. In fact, staff ordered transport for Waqavonovono. soldiers after he reportedly sent an angry text to Bainimarama over Fiji First using his songs for the election campaign without his permission. While Bainimarama didn’t do the beating himself, the order can only have come from him. dismiss the case but has since said it appears certain processes were not carried out according to the law and an internal investigation is underway. “On this Fiji Day, let us all dedicate ourselves to our new democracy and join hands to make it work. We owe it to ourselves, to history and to generations to come, to finally achieve our potential as a nation. This October 10th Fiji Day celebration is significant in that we have just 4 days earlier witnessed our first Parliamentary sitting in almost 8 years. This occasion will no doubt give all of our people hope that the future of our Nation and the well-being of our people looks positive. As Leader of the Opposition I can say we that we stand ready to play our part in building a positive way forward for our people and as long as there is the will among the 50 newly elected Members of Parliament to turn the often misused words of Accountability, Transparency and Inclusiveness, into real measurable deeds that the people can see happening, then there is good reason to be optimistic in our future. As I reflect back on the significance of this day I cannot help but be saddened by the fact that the actions of my ancestors who ceded these islands to Queen Victoria in 1874 and the return of the Islands to the Chiefs and people of Fiji by HRH Prince Charles on behalf of Queen Elizabeth II on our Independence day in1970 is not recorded for its historical significance in the constitution of Fiji. Yet we celebrate it with all the pomp and ceremony befitting its significance. On this October 10th Fiji Day celebrations I urge all citizens in Fiji to take a moment to prayer and give thanks for the small blessings that this first step back to democracy has given us and let us hope that the promise given to our people that there will be no more coups becomes a reality.